Officials attribute the lack of water to the fact that no major rivers flow through the area. Worse yet, factories used to discharge wastewater without proper treatment into what small, seasonal creeks are here causing serious pollution and tainting local drinking water. 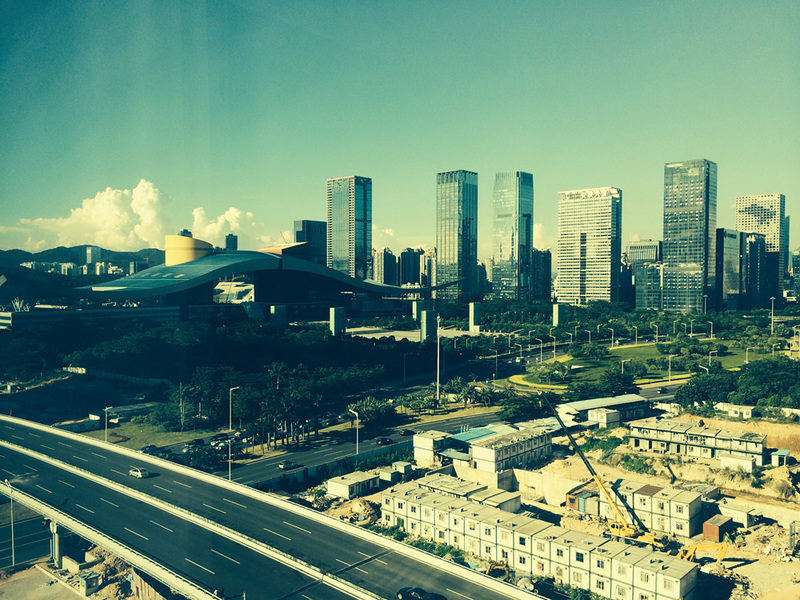 To ease its thirst, Shenzhen has been scrambling to import water and become more efficient. But each solution comes with its own challenge. As the city’s population and economy grow, water demand is expected to outstrip supply by 2020. Shenzhen is no stranger to water problems. In the early 1990s, the city suffered from severe droughts for three years in a row. According to Liang Ming, a former official in the Shenzhen Water Resource Bureau, some neighborhoods had running water less than three hours a day while others did not have access at all. The municipal government delivered water door to door using fire trucks. In 1991, Liang noted in his memoir that Shenzhen’s water crisis hit an extreme, with a total daily deficit of 250,000 cubic meters. This shortage forced many businesses to leave Shenzhen and local officials to turn to neighboring regions for help. Negotiations generated a project that drops pipes into the Dongjiang River as it passes through Huizhou city, northeast of Shenzhen, sucking up nearly 1 million cubic meters of water each day. It is then pumped uphill to reservoirs in Shenzhen before entering treatment plants. Since this $600 million diversion project began operation in 2001, it has become a lifeline for the city. Municipal officials love the project so much they started a second phase in 2006 to increase its capacity. Currently, the Dongjiang water diversion project – stretching 106 kilometers long and consisting of 17 tunnels and six water pumping stations – meets more than 70 percent of Shenzhen’s water demand. The imported water also supports the production of goods equivalent to one-third of the total economic output from the city. However, this solution has not come without a price. Moving water demands energy. Statistics on the energy consumed by the Dongjiang water diversion project – both for transferring the water and the embedded energy required in its construction – have not been calculated, but a statement from a local utility gives a clue. The Guangdong Power Grid Company said in 2009 that the diversion project was one of its largest energy consumers in Huicheng district of Huizhou city. The district is a fast-expanding electronics manufacturing hub with a population of more than 1 million people. That alone is eye-opening, but the estimate only took into account energy consumed during the project’s first phase. The utility also projected energy consumption would increase by one-third when the second phase of the project went online in 2010. Since the region gets most of its energy from coal-fired power plants, the more electricity the water diversion project requires, the more coal is burned to generate that electricity. At stake are air quality and a substantial amount of heat-trapping carbon emissions. 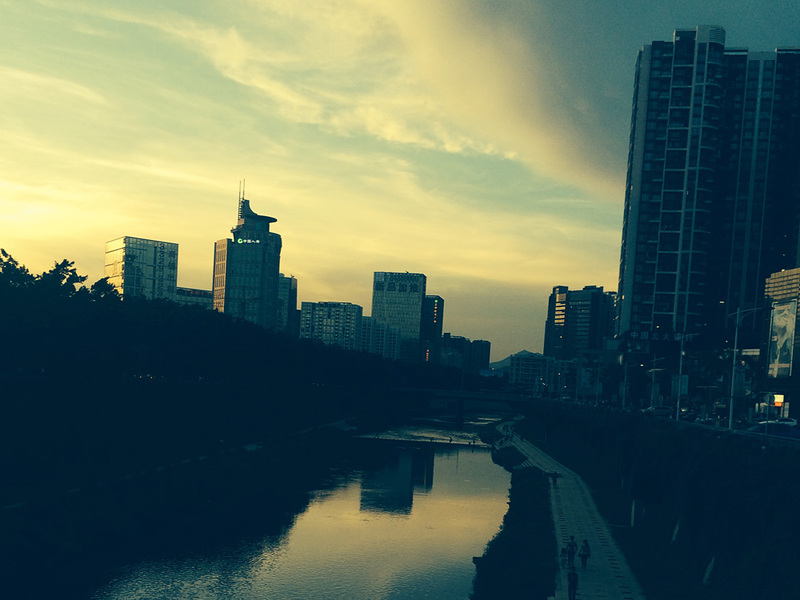 As a result, Shenzhen policymakers have turned their eyes to unconventional water sources. To promote the use of reclaimed water, also known as gray water, for instance, more than a dozen wastewater recycling plants are now up and running in the city. According to Liu Chengfei, an official of the Shenzhen Municipal Water Affairs Bureau, at least 60 percent of wastewater in the city was processed for reuse last year. Liu said the government is now considering requiring all wastewater treatment plants to install water recycling capabilities. While Shenzhen has made notable progress in recycling wastewater, getting citizens to use it is another matter. In 2013, the latest official data available, less than five percent of reclaimed water was used for flushing toilets or greening gardens. The majority, the government notes, ended up in rivers. “The deployment of reclaimed water in Shenzhen is still in its early stage,” said Luo Yibing, who is in charge of the water supply department at the Shenzhen Municipal Water Affairs Bureau. As Luo explained, recovering clean water from wastewater costs almost as much, if not more than, importing water. The use of reclaimed water requires separate plumbing systems for fresh water and gray water, said Luo. However, telephone lines, natural gas pipes, and other wires have already created a spider’s web underneath the city, leaving little space for another system. Officials also face some public resistance due to qualms about gray water’s safety and the possibility of leaks mixing with the drinking supply. Shenzhen’s search for water has opened the door to a new water-sensitive urban design. Known as “sponge city,” the new design aims to increase the absorptive capacity of cities so they can withstand heavy rain and reuse it later. Shenzhen has created more green surfaces, like vegetated roofs, and started constructing permeable pavements to help catch rain. In the Mass Sports Center of Guangming district at least 10,000 cubic meters of water are saved annually through its plaza made of porous bricks and flood-tolerant plants. The water is stored in a cistern buried below the plaza and then used for greening or for cleaning facilities. Such passive rainwater capture not only helps alleviate water scarcity but also helps conserve energy. As Che Wu, a professor at Beijing University of Civil Engineering and Architecture, explained, the use of wetlands, rain gardens, and permeable pavements enhances cities’ resilience to extreme weather events. As a result, cities become less dependent on drains, storm sewers, and other human-engineered infrastructure, which, in turn, reduces the amount of energy used to build these structures. In addition, wetlands, rain gardens, and green roofs remove silt and pollutants from storm-water runoffs and act as natural filtration to help Shenzhen combat pollution. Besides the supply side efforts, Shenzhen has taken some preliminary steps to reduce demand. The city has introduced a ladder pricing system for residential water use, one of the earliest in the nation. The new pricing mechanism encourages conservation by charging households once consumption surpasses a certain level at a rate that increases significantly which each additional cubic meter. The city has also implemented various water conservation measures to reduce industrial consumption, closing a number of dyeing factories, leather manufacturers, and other water-intensive businesses. Those that stay have to comply with an annual water usage quota program and use no more than the limit without incurring a penalty. All hotels, office buildings, and other public facilities are required to use water-saving appliances. Thermal power plants, the city’s major water consumers, have also switched from using fresh water for cooling to reclaimed water or seawater. The result: Shenzhen has scaled down its water use per 10,000 yuan gross domestic product from 51.5 cubic meters in 2003 to 13.2 cubic meters in 2013. Municipal officials say that figure is the lowest among all Chinese cities. Despite its growing efficiency, however, the total amount of water Shenzhen consumes is still increasing. Total consumption climbed to 1.9 billion cubic meters in 2013, 500 million cubic meters more than a decade ago. As its appetite grows, Shenzhen will likely see a water deficit of 694 million cubic meters per year by 2020, according to government projections. The solution? “We are considering transferring water from Xijiang River,” Luo said, referring to a main stem of the Pearl River far away from the city. The energy costs of the Dongjiang water diversion project seem to have been deemed acceptable. But whether the new diversion project can quench the city’s seemingly unending thirst – and at what cost – remains a question mark. Coco Liu is an award-winning journalist with a reporting focus on China’s energy and climate change issues. Special thanks to the Wilson Center’s China Environment Forum. Sources: China Southern Power Grid, The Guardian, Shenzhen Daily, Shenzhen Municipal Government, Shenzhen Municipal Water Affairs Bureau, UN-Water. Photo Credit: Jennifer Turner/Wilson Center.